It may have seemed a little quiet on the Godot AR and VR front but a lot has been happening behind the scenes. With Godot 3.1 released and new plugins being uploaded to the asset library, an update on the state of things is long overdue. Godot 3.1 has various optimisations added to speed up the stereoscopic rendering. There is more work to be done here, some of which we wish to tackle once the Vulkan port is on the way and will have to wait for the 4.0 release, but we are planning improvements for 3.2. A breaking change did have to be introduced for 3.1 which means that new plugins are required, you can't use the Godot 3.0 VR plugins in 3.1. That Godot has AR and VR support isn't widely known but there is a slowly growing userbase out there and even a few commercial products. GDC proved very interesting for us, see Juan's status report. Collabora showed off their Monado OpenXR platform with a demo using an early OpenXR plugin for Godot made by the people behind OpenHMD. We also talked to Oculus about the support we've added to Godot for the Rift headset and were met with great enthusiasm. But let's start with talking about AR first. An ARKit interface has been available unofficially for well over a year. One of the more interesting projects to come out of this is Torch, an AR prototyping tool worth checking out. In the beginning of this year we made great strides with this interface implementing some of the ARKit 2.0 features Apple added in. There are now 3 companies we are aware of that are building products for ARKit using Godot. Work on Google's ARCore is progressing with basic tracking logic now functional. Google has taken an interest and is helping us out so we expect things to progress pretty quickly in the coming months. While the native mobile VR interface that comes build into Godot is inspired by Cardboard, there is no official Cardboard or Daydream support yet. However the work we are currently doing with ARCore is resulting in a number of improvements to the Android platform that should make Cardboard and Daydream support a reality in the not-too-distant future. Watch this space! Unfortunately direct support for the WMR platform is still missing from Godot. We've made a few false starts here. You can develop for WMR through OpenVR but we are looking into native support. The main issue revolves around OpenGL having limited support on UWP and things just not playing nice with Microsoft's Holographic API. Vulkan may prove interesting here. That said, Microsoft has put its full weight behind OpenXR it seems, with the mixed reality headsets being the first with feature complete OpenXR drivers. This may end up being the best way for Godot to work with this ecosystem. 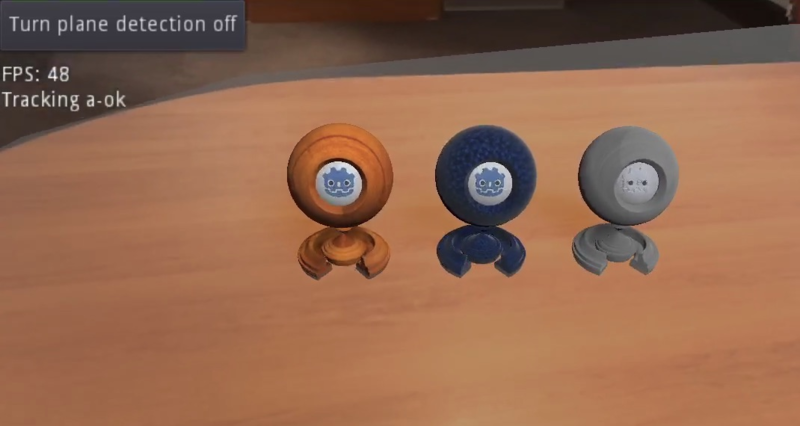 We do not yet know what this means for Hololens 2 and possible Hololens support being added to Godot. The Oculus Rift driver has been available for some time and works great. We haven't had a chance to play with the Rift S yet but we have every reason to believe this will work with the drivers we already created. Gear VR, Oculus Go and Oculus Quest however use a different set of libraries running on top of Android. Last year we made a push as part of the Google Summer of Code but unfortunately this work got stuck due to problems with the GLES3 drivers on these devices and GLES2 becoming available too late. We're hoping to pick up where we have left off soon. OpenVR has been working well and has several teams working on various projects using this driver. We have yet to look at some of the new additions and support for the new knuckles controllers. The problem with HDR remains, Godot renders to high detail buffers for its HDR support and OpenVR does not like these. There is a PR in the official godot_openvr repository that contains a fix, but for the official release of the plugin, HDR still needs to be turned off or the GLES2 renderer needs to be used. 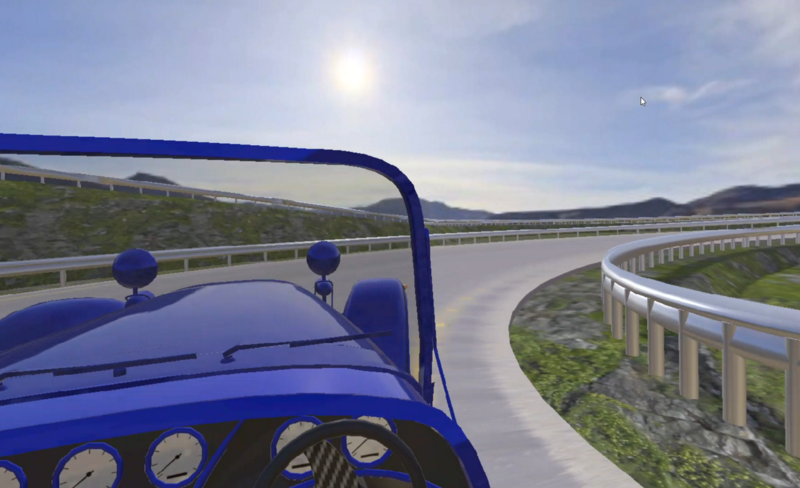 We've already talked about OpenXR, this is a specification that has been worked on for a couple of years now, but this year's GDC finally reached a milestone where example source code has become available. The specification was also released in version 0.9. The addition of the OpenGL ES 2.0 render pipeline is one that is very interesting to VR. Stereoscopic rendering at high resolutions and frame rates puts a large tax on your GPU. For the new HP Reverb headset the output may be 2160x2160 pixels per eye, this means that we're rendering at a resolution of 4320x4320 twice per frame at 90fps. That requires some serious grunt if you've turned up all the new features of the GLES3 renderer. The move to Vulkan will mitigate some of that but still, being able to fall back on a render pipeline that is simpler and therefore faster means that you can use a high resolution headset even if you're running on the mid-end hardware that many gamers will actually own.